Nikolaj Kosakewitsch joins Nasdaq Copenhagen as President, where he will focus on equities and sales. Nasdaq Inc. (NASDAQ: NDAQ) has secured the services of Nikolaj Kosakewitsch as its newest President of Nasdaq Copenhagen A/S, succeeding Bjørn Sibbern, who will be promoted within the company, according to a group statement. In his new role, Mr. Kosakewitsch will be reporting to Lauri Rosendahl, Nasdaq’s Head of European Equities and President of Nasdaq Nordic. In this capacity he will maintain all the responsibilities as the functional position as Head of Sales for Nasdaq European Equities – he will step into his new role on June 1, 2017. Bjørn Sibbern, the former President of Nasdaq Copenhagen, has been appointed as the Nasdaq Executive Vice President of Global Information Services. Mr. Sibbern will remain as an advisor to Nikolaj Kosakewitsch during a transition period until June. Mr. Kosakewitsch joins Nasdaq with over two decades of experience in the financial markets space. His most recent appointment was at Carnegie Investment Bank, having worked as the Head of Securities – Denmark. Additional roles include Nordic Sales at SEB and as Sales Trader at Alfred Berg ABN Amro. 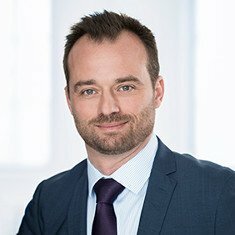 “Nikolaj brings solid experience of the capital markets in Denmark and the Nordic region, combined with a genuine knowledge in equity sales, including institutional end-investor understanding. I am confident that he will be a great addition to the Nasdaq team,” he added.